What Problems Could Billionaires Use Their Wealth To Solve? #Infographic ~ Visualistan '+g+"
People around the planet are facing a myriad of challenges that feel almost impossible to solve. Things like rising real estate costs, the high cost of healthcare, and rapidly increasing credit card debt feel inescapable due to both the critical thinking and the collective capital needed to solve these challenges. At the same time, the very richest in our society continue to accumulate wealth at record pace. 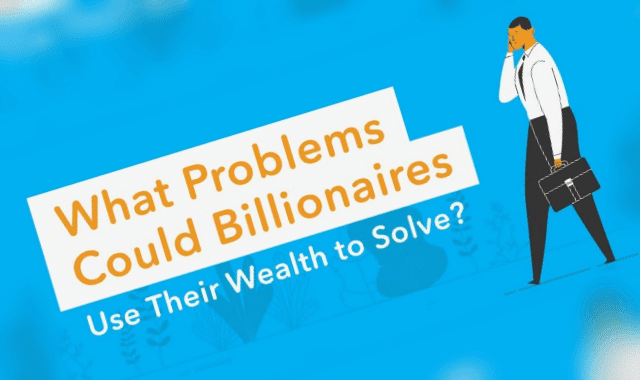 This infographic from Self Lender looks at what billionaires might do with their wealth to help solve the world’s problems.